Culturally inspired and often ethnographically informed research has constituted a consistent thread of output from faculty in business school marketing departments for over thirty years (Arnould and Thompson 2005, 2007; Sherry 1991, 2014; Thompson, Arnould and Giesler 2013). This long wave of research has produced an impressive froth of ideas concerned with consumption (identity, community, ideology, ritual, etc) and many other marketplace phenomena such as branding, servicescapes, and market formation processes. This long wave accounts for a disproportionate share of top cited papers in the major marketing and consumer research journals, and has been spearheaded by a handful of terminally qualified anthropologists, sociologists and fellow travelers (Holt and Cameron 2012; McCracken 1988; Sherry 1995, 1998, 2014; Sherry and Fischer 2009; Costa and Bamossy 1995). While not lacking a critical edge, this work sometimes has included private or public sector consulting (e.g., Arnould 2001; McAlexander, Schouten and Koenig 2002; Schouten and McAlexander 1995). Simultaneously, a parallel tide, denominated business anthropology, emerged that has focused more on managerial and organization issues (Jordan 2013), but housed primarily in anthropology departments. Obviously, and perhaps starting a little earlier, as those in the EPIC community well know, waves of anthropologically oriented perspectives rolled into the practice of a significant number of top corporations and well-regarded consulting firms (Cefkin 2009; Malefyt and Moeran 2003; Sunderland and Denny 2007). Despite the proliferation of knowledge and sustained interest in the corporate world in anthropological skill sets, neither top ranked anthropology departments nor indeed top ranked business schools have rushed to embrace and capitalize on this tide. Indeed anthropology as an academic discipline has struggled with its relationship to contemporary capitalism as a domain of inquiry and practice. Consequently, as pointed out some years ago, the trend line for social reproduction of anthropological perspectives in the top marketing departments is less than positive (Arnould and Thompson 2007). Similarly, scholars have deplored the weak imprint of the anthropological wave on the shores of general management pedagogy (Stewart & Aldrich, forthcoming), My anecdotal observation is also that corporations and consulting firms tend rather to recruit new hires from top anthropology departments regardless of specific qualifications in marketing or management and/or to recruit extremely clever people without anthropological credentials and to train them in anthropological perspectives and ethnographic methods. 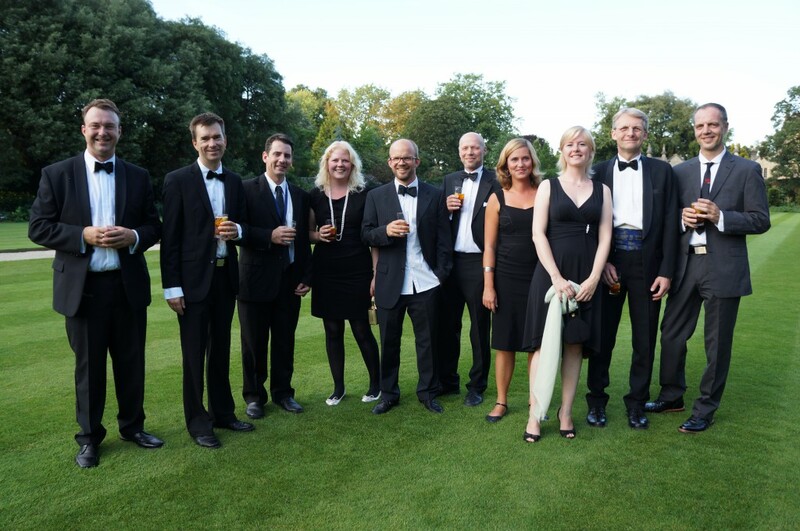 SDU Consumption, Culture, & Commerce Group, Summer 2012, from left to right, Dannie Kjeldgaard, Lars Pynt, Bernardo Figueiredo, Kira Strandby, Jeppe Linnet, Søren Askegaard, Dorthe Brogård Kristensen, Julie Emontspool, Per Østergaard, and Matthias Bode. We conveners of this program did not intend to threaten or replace classic social science education as some critics of the neoliberal trend in higher education might fear, but instead to respond to global cultural developments and emerging human challenges, strongly believing that disciplines are not cast in stone once and forever. We predicted a modest intake of 35 to 45 students per annum. Instead, we have consistently attracted over 85 students per annum to the program over the first three years of its life, and this without any organized marketing whatsoever. While straining our capacity, we are delighted by this enthusiastic response from talented undergraduates. In addition we intend to market this program more broadly to welcome interested undergraduates from around the world. Moreover, our intention from the outset was to offer a follow on Master’s of Science degree in marketing and management anthropology with a project management focus. To assess market demand for graduates from such a program we conducted depth interviews and a survey with a sample of representatives of potential world class employers and practitioners, including some among our friends at EPIC, about the attractiveness of the skill set the program intends to impart. Again, to our delight, the response from potential employers has been overwhelmingly positive to this initiative. Consequently, we hope to open the Master’s program in two years time. Thus, in a modest way, we are trying to ride the flowing wave of anthropological inspiration and pass it forward. Please visit BSc Market and Management Anthropology at University of Southern Denmark. Arnould, Eric J. (2001), Ethnography, export marketing policy, and economic development In Niger, Journal of Public Policy & Marketing, 20 (Fall), 151-169. ----- and ----- (2007), Consumer Culture Theory (and WE REALLY MEAN THEORETICS): Dilemmas and opportunities. In Consumer Culture Theory, Vol. 11 of Research in Consumer Behavior, eds. Russell Belk and John F. Sherry, Jr., Oxford, UK: Elsevier, 3-22. Cefkin, Melissa, ed (2009), Ethnography and the Corporate Encounter: Reflections on Research in and of Corporations, New York: Berghahn Books. Costa, Janeen Arnold and Gary J. Bamossy, eds (1995), Marketing in a Multicultural World: Ethnicity, Nationalism, and Cultural Identity, Thousand Oaks: Sage. Holt, Douglas and Douglas Cameron (2012), Cultural Strategy: Using Innovative Ideologies to Build Breakthrough Brands, Oxford: Oxford University Press. Jordan, Ann B (2013), Business Anthropology, 2nd edition, Long Grove: Waveland. McCracken, Grant (1988), Culture and Consumption, Bloomington: Indiana University Press. Schouten, John W. and James H. McAlexander (1995), Subcultures of consumption: an ethnography of the new bikers, Journal of Consumer Research, 22 (1), 43-61. Sherry John F. Jr. (1991), Postmodern alternatives: The interpretive turn in consumer research. In Handbook of Consumer Behavior, eds. Thomas Robertson and Harold Kassarjian, Englewood Cliffs, NJ: Prentice Hall, 548-591. (2014), What did you do in the great paradigm war? Notes from the other side, Journal of Historical Research in Marketing, 6 (3), 405-413. ----- ,ed. (1995), Contemporary Marketing and Consumer Behavior: An Anthropological Sourcebook, Thousand Oaks: Sage. ----- ,ed. (1998), Servicescapes: The Concept of Place in Contemporary Markets, Homewood: NTC Business Books. ----- and Eileen Fischer, eds (2009), Explorations in Consumer Culture Theory, London and New York: Routledge. Stewart, Alex & Howard Aldrich (forthcoming), Collaboration between management and anthropology researchers: obstacles and opportunities, Academy of Management Perspectives. Sunderland, Patti and Rita Denny (2007), Doing Anthropology in Consumer Research, Walnut Creek: Left Coast Press. Thompson, Craig T., Eric J. Arnould and Markus Giesler (2013), Discursivity, difference, and dialogue: Genealogical reflections on the CCT heteroglossia, Marketing Theory, 13 (June), 149-174. 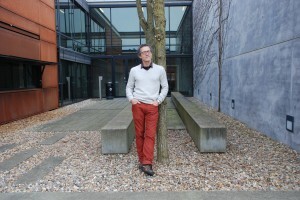 Eric J. Arnould is a Professor of Marketing at Southern Danish University. He is an anthropologist whose research interests are in the domain of consumer culture theory, base of the pyramid marketing channels, service relationships, service-dominant logic, and sustainable marketing in global contexts. He has published in the Journal of Consumer Research, Journal of Marketing, Journal of Marketing Research, and Journal of Contemporary Ethnography, among others. He was an Associate Editor of the Journal of Consumer Research. He received his PhD in anthropology from University of Arizona.